Showing results by author "Steve Bradley"
Thinking about selling your home? 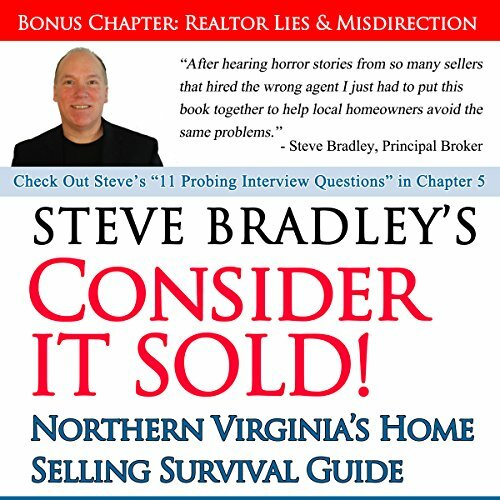 Steve Bradley, an experienced real estate listing agent in Northern Virginia, tells all. In an industry filled with part-time and inexperienced people, Steve tells you how to find the diamond in the rough when hiring a real estate agent to sell your home. Have you ever wondered why some homes in your neighborhood come to the market with really high prices? Have you wondered why the real estate agent priced it so high? Steve shares the inside secrets to some very questionable practices in his industry.